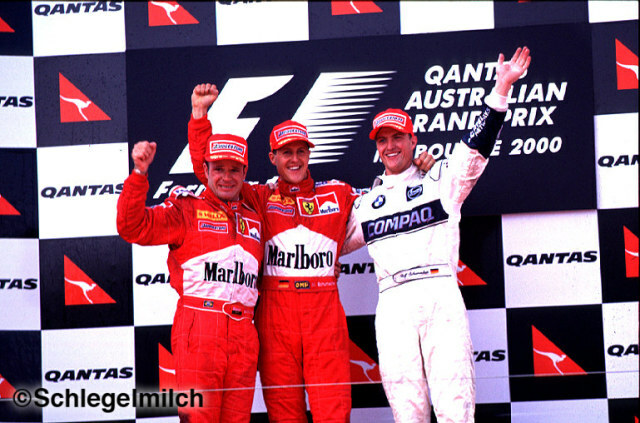 At the first GP of 2000 in Melbourne, Australia on 12th March Michael was victorious! After pressurising the McLarens from the start, it became unnecessary to attempt any overtaking manoeuvres when both of their engines blew up. A comfortable win was taken, with a Ferrari 1-2 and brother Ralf taking 3rd for good measure. The strong form continued in 2000, with Michael winning his third world championship since his previous one in 1995.